Our policy regarding equipment hire is that all equipment must be returned in the same, good working condition as at the start of the hire. This also includes Campbell’s delivering and setting up and that on collection the equipment be in the same, good working condition. The hirer shall be responsible for the cost of repairing any equipment damaged and is liable for the replacement cost in the event of theft. 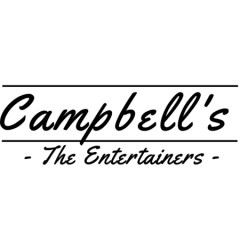 In no event shall Campbell’s be held liable for personal injury or property damage caused by improper use of equipment. Campbell’s will refund all monies if the equipment is proven to be faulty and being so, was unable to be used as intended . Payment is required when the equipment is delivered, or at another time, if arranged prior to delivery.